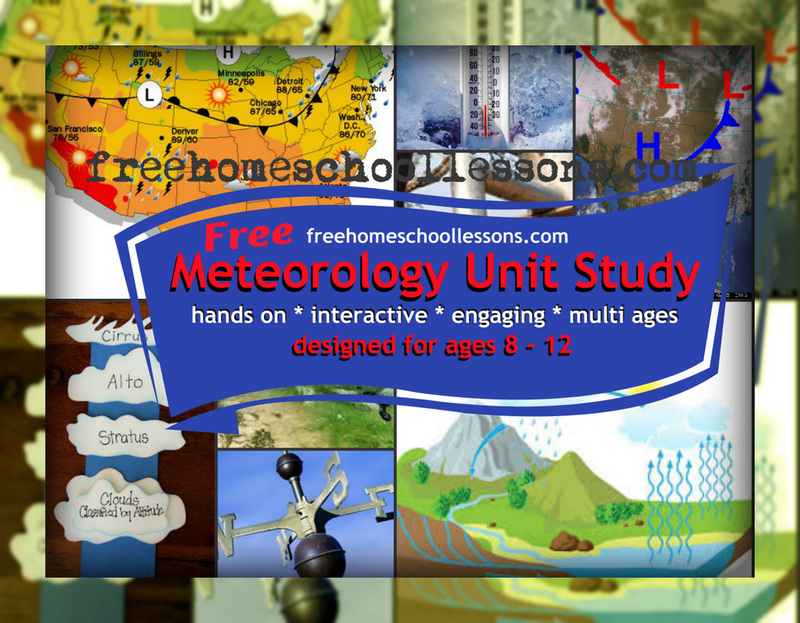 "The heavens declare the glory of God; the skies proclaim the work of his hands"
This multi level hands on free home school unit study was designed to meet the needs of my family of seven home schooled children ages eight to fifteen. I limit textbook reading in our science studies to short passages and look for highly interactive exploratory ways to engage my kids in their science lessons. This study was centered around a text created to meet the National Science Education Standards with researched based learning strategies. There are so many awesome resources to study weather. This could be considered my storage page. As students express an interest in a specific topic this could be the jumping off point, a safe place for reasearch. 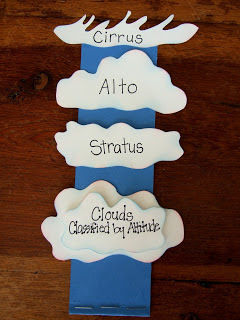 Cloud classifications and the processes by which clouds and precipitation develop. Forces that influence the flow of air and how they interact to produce wind. The online version of NOAA's Severe Storm Spotters Guide. Investigates the different types of thunderstorms, their associated components, plus an in depth look at tornadoes. The anatomy of hurricanes, how they develop and why they are so dangerous. Create a weather station and forecast the future (of meteorologic disturbances). Make and calibrate a thermometer, measure humidity in the air, record pressure changes with a barometer, and build your own weather vane. 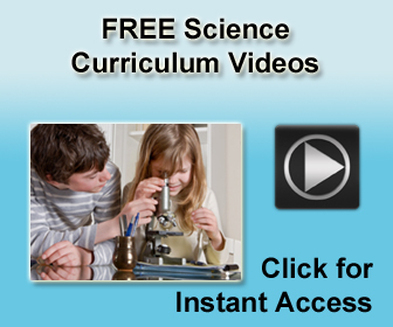 Learn to predict weather with clouds, understand climates and micro climates and extreme weather. history of weather prediction: People have been forecasting the weather for centuries. They once looked to plants and animals for hints about what the weather would do. For example, before it rained, some people often observed that ants moved to higher ground, cows lay down, pine cones opened up, frogs croaked more frequently, and sheeps' wool uncurled. General forecasting methods, important surface features, plus forecasting tips for different scenarios. The most common types of air masses and fronts, plus a look at the different types of advection. Though I am using a text as my base this isn't a dry textbook and chapter review unit study. I have provided links to interactive note booking, you tube videos, computer animations, simulations and computer interactives. In addition I have provided art lessons that we used during various parts of our science study. I meet the challenge of teaching concepts to a variety of learning styles and ages using plenty of interactive resources. SCIENCE UNIT STUDIES we have so much fun with hands on that we are still building these pages! Yes, I am one of those moms who LOVES creating lesson plans for homeschool. A Veteran homeschool mom of many. I have home schooled more than a dozen children with every learning style and a variety of learning needs. Tutoring in American History, Science, and Art and Design. These resources are my personal lessons with wisdom gleaned from a variety of sources including classroom teachers, home school co-ops and other active homeschooling moms. Special needs home schooling. My kids have been considered 'lower than grade level' learners. These high school lesson plans have been packaged in a way that meets the learning needs of my children and those I tutor. Please feel free to use them in your home and home school co-op. I ask that you respect my time and energy and do not resell any of the lessons in part of whole. Want access to free, low-cost and practical homeschool lesson resources?